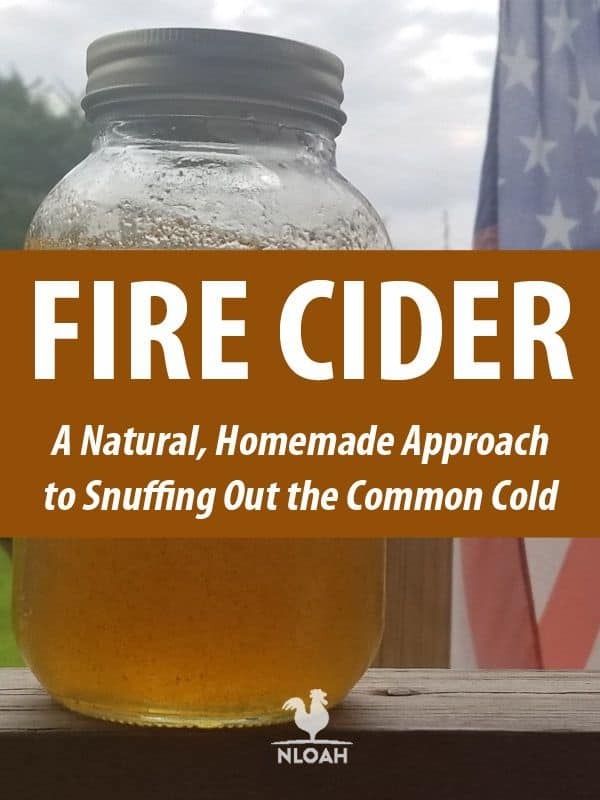 If you’re looking for a spicy, tangy, and delicious way to beat the tar out of the common cold, Fire Cider is for you. 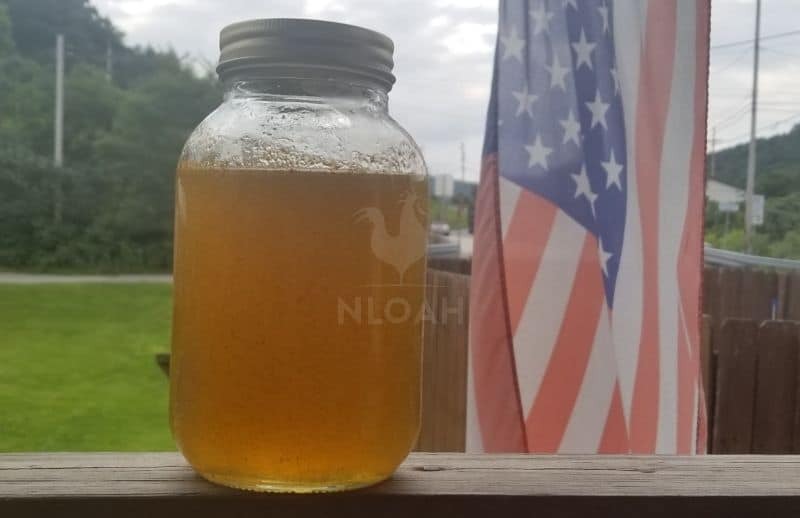 This wonderful health tonic is made with a variety of herbs and spices that will literally burn the virus right out of your system. Fire cider is chock full of things like apple cider vinegar, hot peppers, and garlic. Sounds more like a salad dressing or steak marinade than a cold cure. Don’t be fooled by the tasty ingredients of Fire Cider because this potent concoction is anything but seasoning for your favorite foods. It takes on the common cold like a warrior going into battle. So, there’s this amazing herbalist lady named Rosemary Gladstar, right? During the early 1980s, Rosemary was teaching at the California School of herbal Studies. She wanted to teach her students the correlation between food and medicine thus using all sorts of roots, spices, and herbs in her herbal preparations. This is around the time that Rosemary’s famous Fire Cider recipe was born. From what we know, there weren’t any other fire cider recipes floating around before Rosemary’s. There were products like it that contained ingredients like apple cider vinegar and honey, but nothing quite like Fire Cider, itself. So, on a side note, please don’t trademark herbal products such is the case with Fire Cider and other companies claiming the recipe is theirs when it clearly belongs to Rosemary Gladstar. So, Fire Cider has some amazing health benefits associated with it. 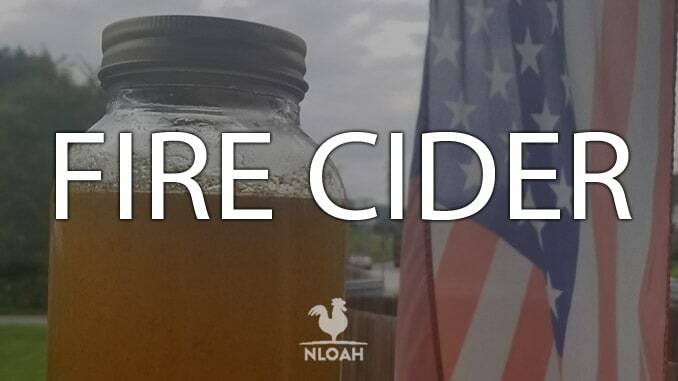 Due to the potent ingredients in Fire Cider one can experience a wealth of antiviral and antimicrobial features. Horseradish Root – Known to have antimicrobial, spasmolytic, cytotoxic, antiseptic, diuretic, and antioxidant properties. Some studies have indicated that horseradish root can benefit almost every part of the body including ailments like urinary tract infections, sinus infections, chest congestion, and cold and flu symptoms. Onions – According to Victoria Jarzabkowski, a nutritionist with the Fitness Institute of Texas, onions are a great source of vitamin C, sulphuric compounds, flavonoids, and phytochemicals. Onions are great for heart health, inflammation, and the immune system. Garlic – Just like onions, garlic is chock full of sulfur compounds which are notorious for known health benefits. This makes sense as garlic is part of the onion family. In addition, garlic contains manganese, vitamin B6, vitamin C, selenium, fiber, and minerals. Ginger – Gingerol is a potent substance in ginger that contains powerful medicinal properties. It can aid in digestion, lessen nausea, and help fight off the common cold and flu. 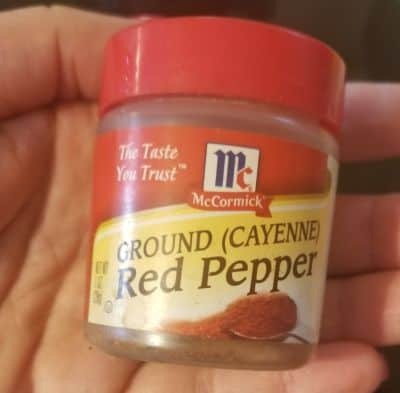 Cayenne pepper – According to the Dr. Edward Group DC, NP, DACBN, DCBCN, DABFM, cayenne pepper has anti-irritant properties, clears congestions, helps prevent migraines, is anti-bacterial, and many other things. 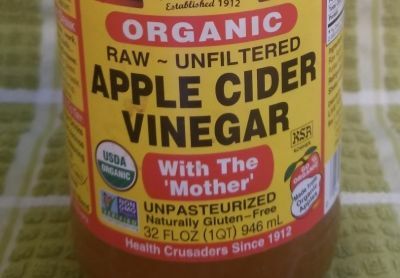 Apple Cider Vinegar – WebMD states that apple cider vinegar has been used as a health remedy since Hippocrates walked the earth. It is a substance used in weight loss, heart health, and immune system support. We already know, based on the ingredients above, that Fire Cider is packed with health benefits that help ward off the common cold and flu. But, imagine what happens when all those potent ingredients come together in one basic tonic. Magic! Okay, let’s be real, there really isn’t any sorcery going on here, however, there is wholesome homegrown goodness happening. I don’t know about you guys but I like to make my own cold and flu remedies instead of picking something off the pharmacy shelf containing ingredients I can’t even pronounce. I also do not enjoy running to the doctor’s office each time an ailment strikes. Now, don’t get me wrong, sometimes, a trip to your MD is warranted but I assure you, consuming homemade concoctions like Fire Cider can lessen the occurrence. Fire cider is made up of a network of herbs and food that are known for their antibacterial components. In fact, some might say that Fire Cider is a natural antibiotic. 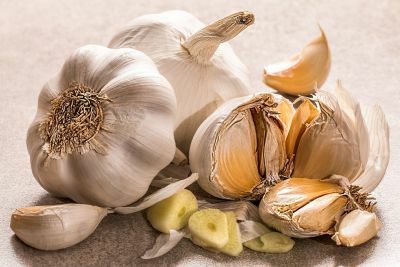 Garlic, horseradish root, and ginger are literal powerhouses of antibacterial benefits. When the three are combined….look out cold and flu virus! If you’re dealing with strep throat, a chest infection, or coughing, Fire Cider can help relieve the symptoms without prescription antibiotics. Did you know that you can have fungus growing in your gut? Yep! This pesky fungus is called Candida and can be very hard to control once it starts to fester. When we have candida overgrowth in our guts, we get sick. This makes sense because 60% of your immune response lives in your gut. The garlic, onion, and ginger in Fire Cider contain strong antifungal properties such as ALLICIN and gingerol. So, if you have any fungus in your gut, Fire Cider will certainly help snuff it out and bring things back into balance, especially when combined with a daily probiotic. The anti-viral components of Fire Cider are nothing less than amazing. Seriously. This tonic is brutal when it comes to viruses and shows them no mercy, especially those of the cold and flu. Again, we go back to the garlic in Fire Cider. This amazing herb has been shown in various studies to have anti-viral properties that promote healing within the body. This means that when you have a cold or the flu, Fire Cider will help relieve you of their symptoms. The tonic can also be used as a preventative therapy. Fire Cider contains all sorts of immune-boosting ingredients such as garlic (big surprise there lol) and horseradish root. Not only do these ingredients strengthen the immune system but they also promote the production of white blood cells. You should also know and revel in the fact that Fire Cider is very high in vitamin C which is also a known immune system enhancer. You guys are going to love the simplicity of making Fire Cider with actual food and herbs. More than likely, you probably have most of the ingredients lurking in your kitchen already. Fire Cider is one of the reasons I have an herb garden. I like to know where my food comes from and not have to worry about pesticides and chemicals coating it. By no means are my herbs organic but I can say that they don’t contain an unhealthy dose of Round Up, either. Optional ingredients; Turmeric, Echinacea, cinnamon, any kind of peppers etc. Place herbs in a half-gallon canning jar and cover with enough raw unpasteurized apple cider vinegar to cover the herbs by at least three to four inches. Cover tightly with a tight-fitting lid. Rosemary says to consume a small shot glass every day to prevent the cold and flu. You can also take a teaspoon or two every few hours when you feel a cold coming on. If your immune system is in bad shape, take the tonic more frequently until you are seeing desired results. Some folks in the herbalist community like to make their Fire Cider and seal it by way of water bath canning method. Then, once cooled, they bury the jar in the ground and wait a month before digging it up and using it. Apparently, this helps to “ground the medicine” (literally lol) as stated by Moon Minded Medicine. I think this method sounds like a lot of fun. However, storing your Fire Cider in a dark cupboard or pantry works just fine, too. Another recipe you can try is making Fire Cider with honey. It’s sweet and fiery at the same time. Begin by grating the horseradish and ginger roots. Next, coarsely chop the onions, orange, lemon, garlic, and peppers. Now, place all of the veggies and fruits into half a gallon glass jar. Sprinkle the turmeric on top of the food and pour the apple cider vinegar over the ingredients until they are fully covered. Place a tight-fitting lid over the jar and store it in a dark, cool place for 4 weeks. You’ll want to shake the jar once daily. At the end of the 4 weeks, line a colander with cheesecloth and place over a pot. Pour the contents over the colander and allow to drain for about a half-an-hour. Next, gather the cloth at the corners and squeeze the excess liquid out into the pot. Once strained, you can add the honey to the mixture. Pour the final product into a sterilized canning jar. Store in a cool, dark place and shake well before each use. Fire Cider will last up to a year of stored properly. Overall, I am impressed with Rosemary Gladstar’s Fire Cider recipe. It works well to combat the common cold and flu as well as prevent these illnesses from happening altogether. My husband and I like our Fire Cider to be fiery but that isn’t the case with our children so for them, I opt for the honey version with only 2 habanero peppers. The great thing about making your own fire Cider is that you have the freedom to personalize the recipe. Start with Rosemary’s basic formula and add herbs and spices as you go. Some great additions are cloves, black pepper, oregano, and thyme. There are so many herbs out there that will complement this already amazing recipe. Determine which ones you like best and make your own version of Fire Cider. Don’t forget to tell us your recipe! I first heard of this with one additional ingredient – ginseng. i have been using this for years. it is also called master tonic. it is really something to get used to but it is really worth its weight in gold. Sounds great! 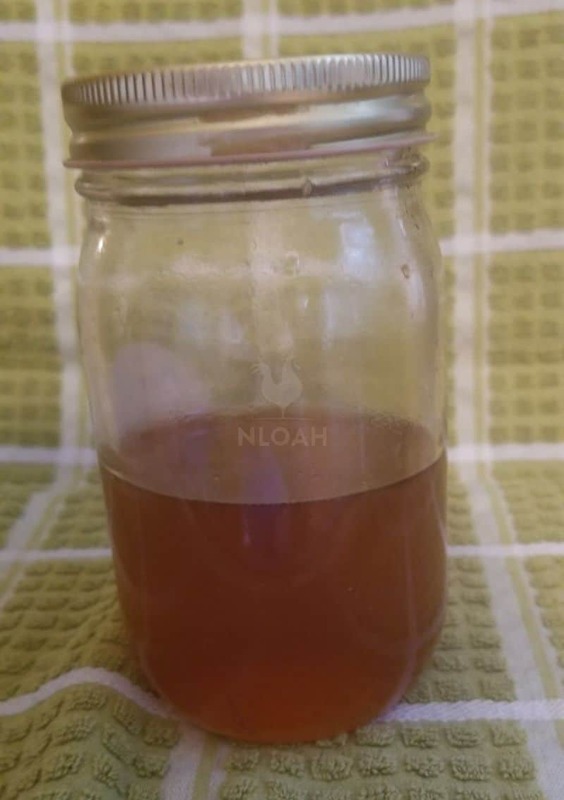 I’ve been an herbalist for over 40 years & all the grandkids say “Don’t pour yourself just anything you find in Mimi’s fridge; you might get a surprise!” They also say the reason my cough syrup works so well is because it tastes so awful the cough just runs away so as not to have to experience it again. Lol Happy to see someone posting such an informative article.